How often do you invest time and attention to improve the spa guest experience for your clients? The key to attracting premium clients is to create a VIP luxury experience. 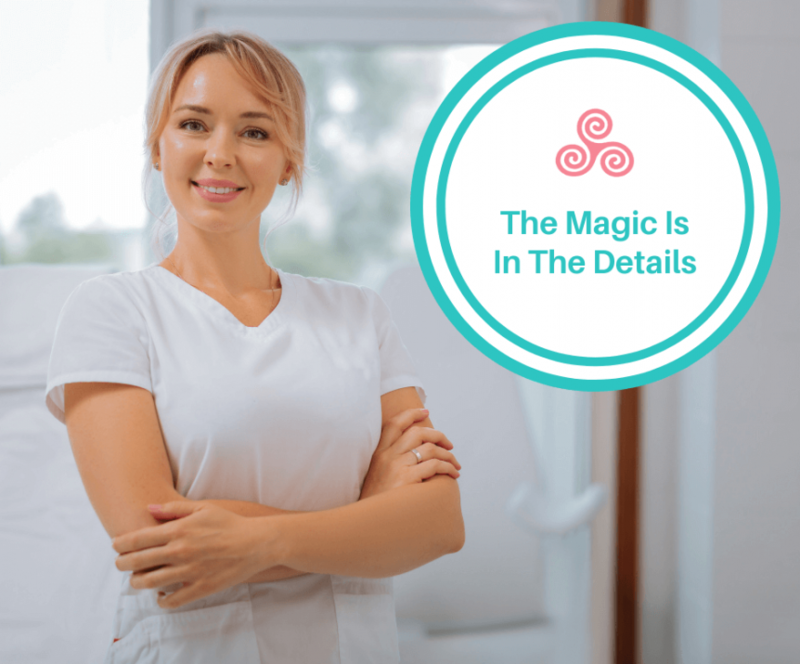 Most estheticians do a “good” job every single appointment but are we putting in the effort to create an exceptional VIP spa experience and make it so memorable that your clients can’t wait to come back for more? Delivering an outstanding client experience isn’t just a “feel good” thing anymore. In today’s experience economy, consumers are willing to pay more for a better experience. How your clients experience your brand can make the difference between just surviving and really thriving. What Does It Mean To Deliver a VIP Experience? Most of us want to earn top dollar as estheticians and spa owners. But first, we’ve got to make sure we’re delivering a world-class client experience to match that level of pricing. What does a “VIP experience” means for you? How would you like to be treated when you’re paying top dollar as a client? For example, at my spa, every client is greeted with a warm welcoming smile at the front desk. We make sure each guest has a personalized experience by paying attention to details such as using the client’s first name and offering a beverage of choice. In addition, it’s not just what you say but also how you say it. Are you using world-class verbiage? Do you make eye contact? Being sincere? Like for real? How about actively listening? Are you being present and intentional? For me, the intention of delivering a VIP experience permeates everything that I do. I have seen first-hand what a big difference this makes when I hosted the Beauty Business Summit recently in Hawaii. When I was organizing this summit, I had a vision of creating a unique and memorable experience for the attendees. It was actually a lot of fun putting together little surprises throughout the event to make sure the attendees said “wow!” And they did. They used that very word upon walking into the event. How do you do that? By giving everyone “world-class” attention. For example, I’d wonder, how could I “wow” someone at the registration table? I’d then consider the experience not just as “checking in” to an event. The attendees were our VIP guests for the next two days and we have to deliver the magic the moment they walk in. The magic is often in the details. For instance, we greeted every attendee with a warm, loving welcome and gave flowers and gifts at the registration table. Each attendee was personally shown where to go next, whether it was for breakfast or to their designated seating. Everything was planned out with intention and our attendees could feel that we were genuinely happy to have them. Coincidentally, one of our keynote speakers, Mary Ronnow from The Skin Institute Internationale in Honolulu talked about attracting premium clients. In order to attract premium clients who are willing to pay top dollar, you have to first become a premium brand. She talked about a salon in California that caters to celebrities. It offers to have the clients’ BMW, Lexus, or Mercedes vehicle detailed during their salon appointment – and that’s the kind of cars that are pulling up to the salon, by the way! Of course, you don’t have to offer car detailing to get premium clients. However, that’s a good example to get us thinking what we could do to deliver an incredible client experience. Be creative! Think about the clientele you want to attract and what they’d consider a VIP experience. Reality Check: Are You Really Delivering a VIP Experience? The proof is in the pudding. There’s only one way to make sure you’re indeed creating a VIP clients experience – ask your clients! Client feedback is critical in helping you find out what works and what doesn’t so you can continue to improve your services. Give us an opportunity to “Wow” you at the next Beauty Business Summit in Clearwater, Florida on October 6-7, 2019! Early Bird tickets are on sale now and exclusive pricing ends soon!